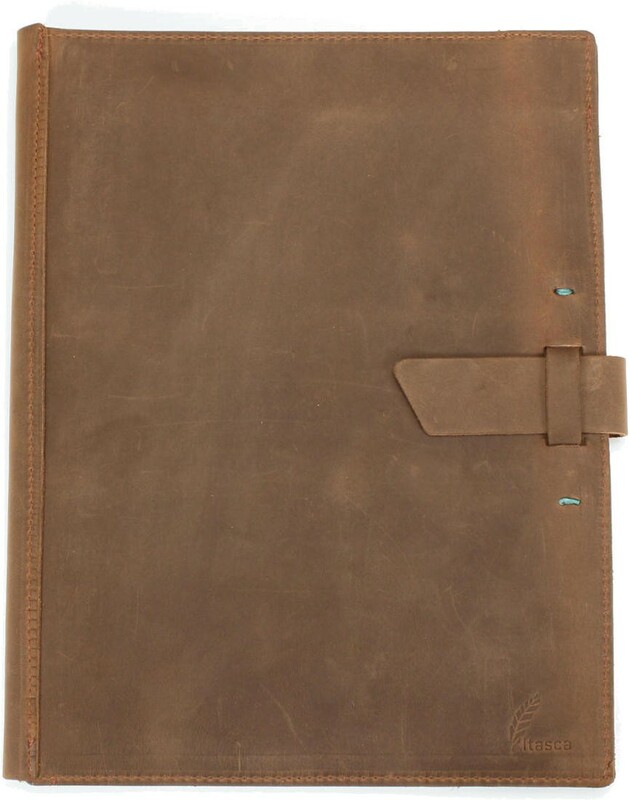 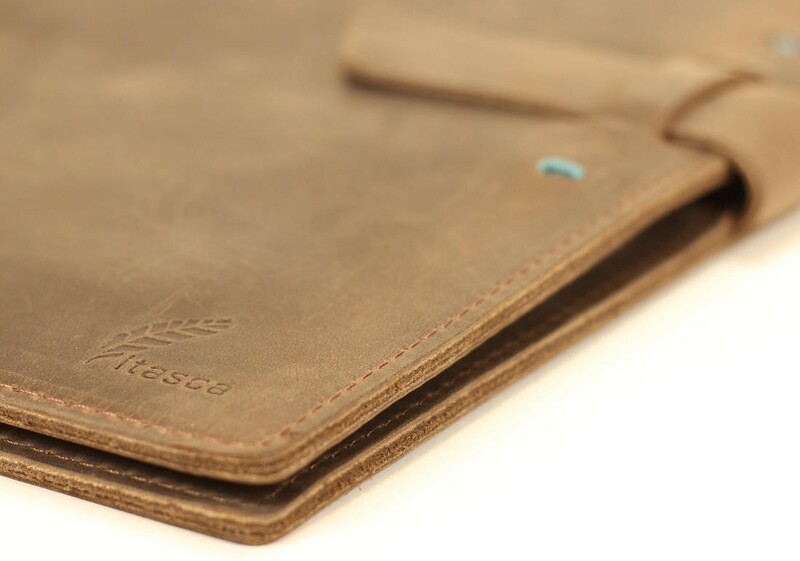 Our Redeye Portfolio is a handsome addition to any office or briefcase...constructed of gorgeous leathers that are just a bit rustic in nature with incredible pull-up (a term used to describe the lightening effect that the leather exhibits when pushed from the backside or when creased). 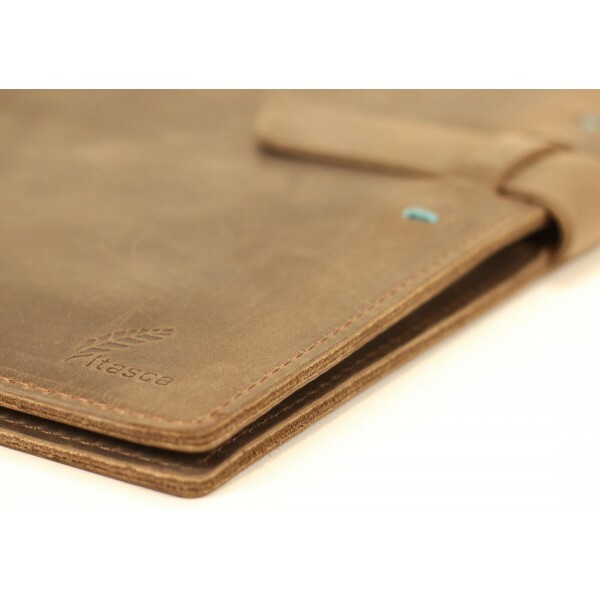 It's one of those properties that makes leather gorgeous rich warm and full of character. 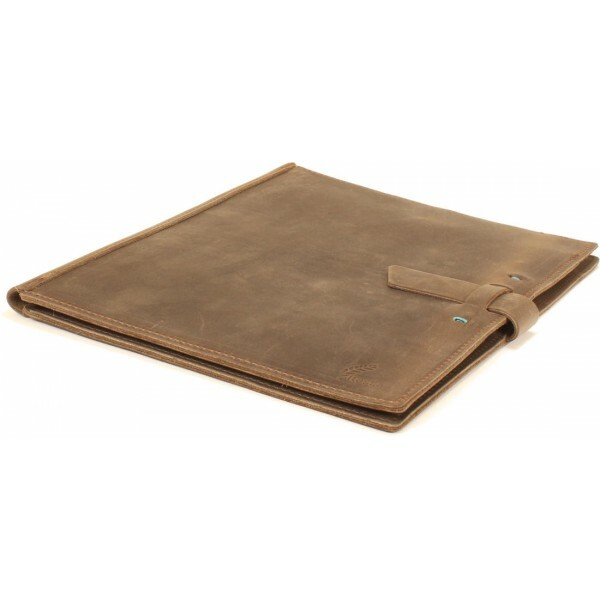 And like many of our products this is one of those heritage pieces that keeps getting better with age and use. 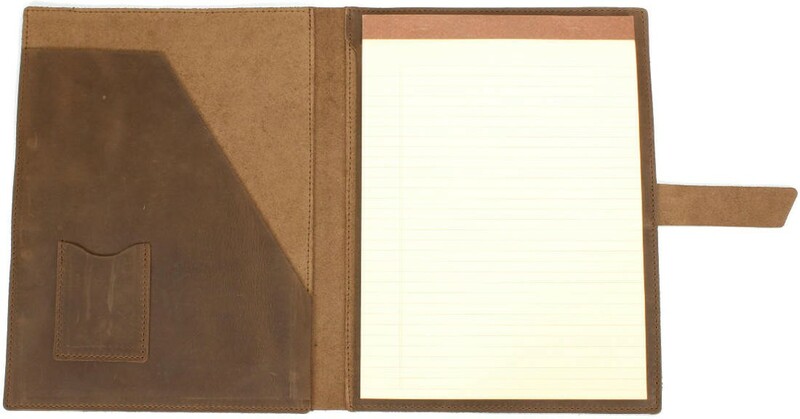 Our portfolio is constructed to include a pocket for business cards and a slot for stashing loose papers. 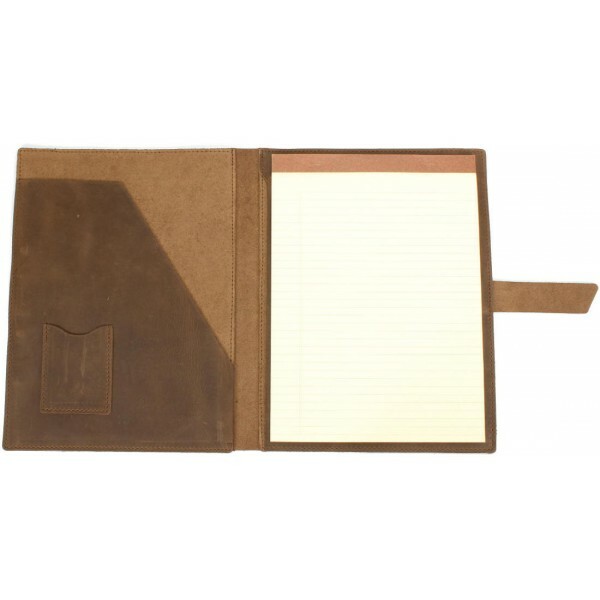 You'll also receive one letter-sized pad refillable with any commercially-available 8.5" x 11" pad. 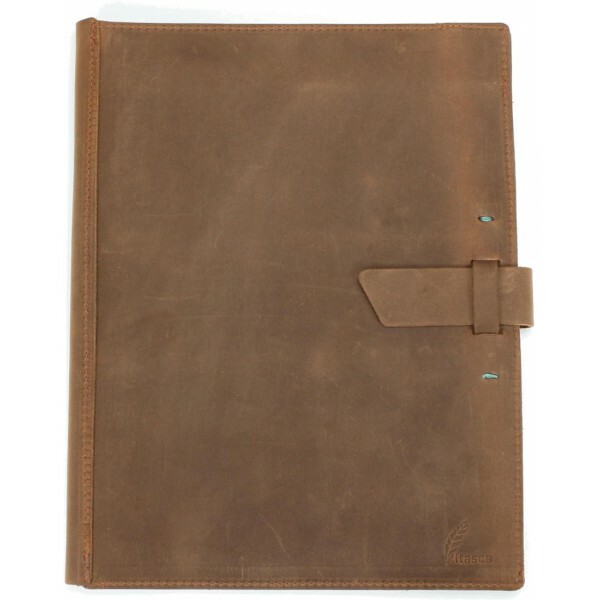 Whether for your own use or to give as a gift you'll love this portfolio!